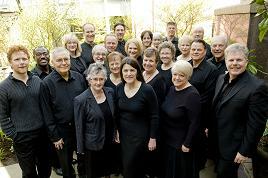 Ensemble from Chancel Choir - an auditioned, small group of advanced vocalists from the Chancel Choir who specialize in the art of chamber choral music to proclaim the gospel message and lead worship at 9:00 and 11:00 am in the Sanctuary. A Cappella and concerted styles from the 16th century to the present make up the repertoire. The group sings six to eight times throughout the choir season. For more information about the music program at FPCB, see BelPres.org Music. To hear or see the Ensemble, use the date-links in the right side-panel.